A member of our church brought a point to my attention that helped prepare me for the study of these next few verses. I want to share his insight. He mentioned that a fruit tree does not use the fruit it produces. The fruit isn’t for the tree. It is for others to eat (both men and animals and bugs, etc.) and it is for reproduction – the fruit bears the seeds that will bring more trees to life. As we look at these verses about fruit, let’s remember that point. The fruit God produces through us and with us is not for us. It is for others to consume as they desire rightness with God and it is for reproduction – or the making of disciples by use of the seed (the truth) that is contained in our lives. Spiritual fruit (love, joy, peace, etc.) is produced by the Spirit in us for the benefit of others. This fruit is good fruit. Fruit that is bad is produced for self. It is the result of pride and prominence, selfishness and sin. It doesn’t do anyone any good – and when it reproduces, it spreads bitterness, hatred, and evil. Jesus is continuing to teach us how to identify the false prophets who will come imitating the shepherd. In order to see them for who they are, to see through their disguise and their hypocrisy, we must inspect their fruit. We will know them, He tells us, by the fruit of their lives. Fruit trees are known by the fruit they produce. That is why the type of tree that produces apples is called and apple tree. And an orange producing tree is an orange tree. Fruit trees are grown to produce. They are also grown for appearance. But truly, a fruit tree is not an ornamental tree – just for looks or for show. Likewise, there are no ornamental Christians. We will all produce fruit – some good, some bad. In this application, Christ is telling us that a prophet (anyone who claims to speak for God) will be judged by his life – not by his looks or his words. You see, a false prophet knows all the right words and looks the part of a genuine prophet – but if we look closely enough, we will see the bad fruit he produces. Eventually, the truth about the lie he is living will surface and discerning believers will see the bad fruit and can warn others. The picture Jesus gives us to confirm this is a simple one. 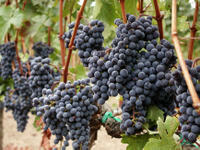 Would we ever expect to approach a thorny bush to gather grapes? Or would we think for a moment that a thistle could grow a fig? NO! Let me “Texanize” this – for those of you familiar with Texas, you have probably seen or at least heard about Mesquite trees. Although good for cutting down and cooking with (mmmmmmm. now I’m hungry for fajitas :-), these trees do not provide shade, they don’t grow very tall, they are full of thorns, and the fruit they produce is a long, yellow bean full of seeds. Some cattle won’t even eat the beans; they are sticky and pointy and all around good for nothing other than throwing at little brothers (don’t ask how I know that). So would any of us ever stop and think, “Hey! I want some nice, juicy grapes. I need to find a mesquite tree.”? 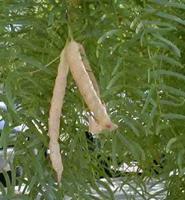 The fruit we find on a mesquite tree is the fruit we expect to find, a mostly useless, bad fruit. 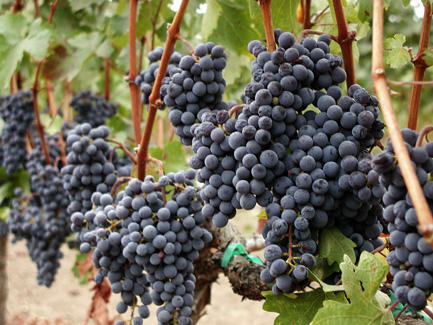 The grapes grow on the grape vine. 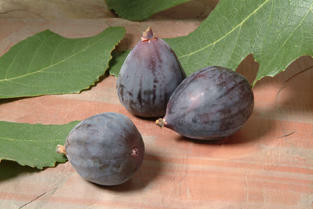 And the figs grow on fig trees. So here is the lesson – if we are to subject ourselves to the spiritual authority we need, we must discern the fruit that the teacher is producing. If there is good, obvious, lasting, healthy fruit – follow that person’s teachings. If, on the other hand, it seems that the fruit of a person’s life is bad, and the followers of this teacher are immature, selfish, proud, and sinful – then more than likely we have just stumbled across a false teacher. We must evaluate the fruit that is produced in spiritual leaders lives. They must set the example – and they have to meet certain qualifications to hold that position (see 1 Timothy 3 and Titus 1-2). If a minister does not hold himself to those qualifications, he is then not fit to hold that position any longer and has become a false teacher. A minister who is called of God and set apart for ministry, a faithful preacher will produce the good fruit of the Spirit and will meet the qualifications for his office. Jesus is reinforcing the thought that runs throughout Scripture – if someone claims to be speaking for God, we must be sure that they meet the standard, produce the fruit, and live the life that their calling requires. Otherwise, they just look like the shepherd but will bring harm to the flock. I wish I could tell you how many churches reject the preachers who proclaim the Word and instead embrace the preachers that deny the power of godliness. They run headlong after the wide gate and the easy way. They turn away from the truth. Don’t look for reputation or prestige or appearances – look for fruit. If it’s bad fruit – run from that teacher – don’t listen no matter what they teach! If on the other hand, there is fruit that is good and God honoring – follow that teacher – he is responsible before God to teach the truth and he is the one who knows the higher standard of judgment that all those who claim to speak for God will be held to. Today, look for fruit in your own life. If you were to be asked to teach God’s Word, could you teach as a true prophet, or would your life condemn you as a false prophet? And then remember that we are all called to be ministers of reconciliation, bringing people the truth so that they can turn from their sin to our loving heavenly Father. Let’s learn together to become “fruit inspectors” and let’s work together in fellowship to hold each other accountable to produce fruit that is good in each of our lives. Find the good and the bad fruit!